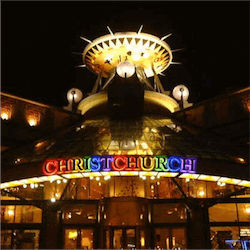 Having been operating since 1994, Christchurch Casino has become a notable feature in the community. They provide exciting entertainment for local residents while also playing a large role in supporting the local community. With over 500 Pokie machines and more than 36 tables, Christchurch Casino is one of the biggest gaming venues in New Zealand. Their size and reputation has also resulted in the casino being the host of the New Zealand National Poker Championships. The casino has now announced plans for a massive property purchase on the land surrounding the casino. They originally had no plans for further expansion, but the opportunity presented itself when the land was offered at very reasonable rates so Christchurch Casino jumped on the opportunity. At a local auction 4047 square metres of land was sold for NZ $3.7 million, which the casino bought it for, outright. This gives the casino a total space of 11 000 square meters. Currently the pre-existing expansion plans for the casino involves the purchase of an adjacent and smaller tract of land that is to become the future site of The Peterborough, a luxury hotel that can cater to the casino’s patrons and to encourage more tourism. The hotel is set to be a 200-room venue and a car park with a preliminary budget of NZ $85 million. There has not been much protest or objections to the plans as the land surrounding the casino is currently unused and if the Christchurch Casino’s development plans provides a boost to tourism and by extension the local economy then there should be few dissenting voices. Brett Anderson, Christchurch Casino chief executive stated that this new purchase gives the casino more flexibility with future plans of expansion. The hotel and car park feature of their current expansion plans actually plays into a redevelopment of Victoria Street where the casino is situated. The local government are planning to redevelop the streetscape meaning that many current car parks will be removed, adding more significance and value to Christchurch Casino’s current car park expansion plans, meaning everybody wins at the end of the day. In 2004, Christchurch Casino was bought by Sky City Entertainment after Skyline Enterprises purchased Aspinall Limited who owned a 40.5% shareholding in Christchurch Casino. 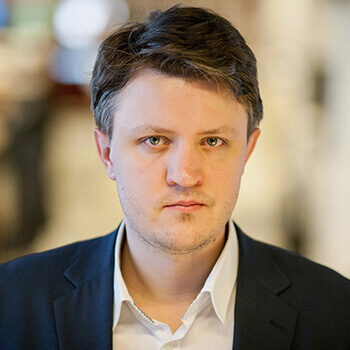 The deal was first contested by the Sky City Managing Director, Evan Davies who raised concern that Sky City would own a large stake in 5 of the 6 major casino chains in New Zealand. The deal was however still finalised and approved.